Welcome to 3102 Cove Ridge Rd in the Cove Ridge neighborhood of Brandermill. This 2 story transitional home offers 2,689 sq. ft, 4 bedrooms and 2.5 baths located on a cul-de-sac lot. Floor plan offers formal living and dining rooms with hardwood floors, Gourmet eat-in kitchen with granite counter tops, upgraded maple cabinets, free standing island & tile floors. (Refrigerator to Convey). Family room offers vaulted ceiling and a fireplace with gas logs. Large master suite with walk in closet and master bath with double vanities, corner soaking tub w/ jets and separate shower stall. All secondary bedrooms are generous in size. Improvements include entire interior of home painted, new carpeting & padding throughout the majority of the home, roof 2-3 years old, HVAC 1 -year old, new hot water heater, all new skylights. Exterior offers 2 car front entry garage, aggregate driveway and walkway, rear 2 tier deck. Exterior of home has been power washed, painted and gutters cleaned. Ideal location â€“ close in proximity to shopping, dining and major interstates. SchoolsClick map icons below to view information for schools near 3102 Cove Ridge Rd Midlothian, VA 23112. Home for sale at 3102 Cove Ridge Rd Midlothian, VA 23112. Description: The home at 3102 Cove Ridge Rd Midlothian, VA 23112 with the MLS Number 1903107 is currently listed at $310,000 and has been on the Midlothian market for 81 days. 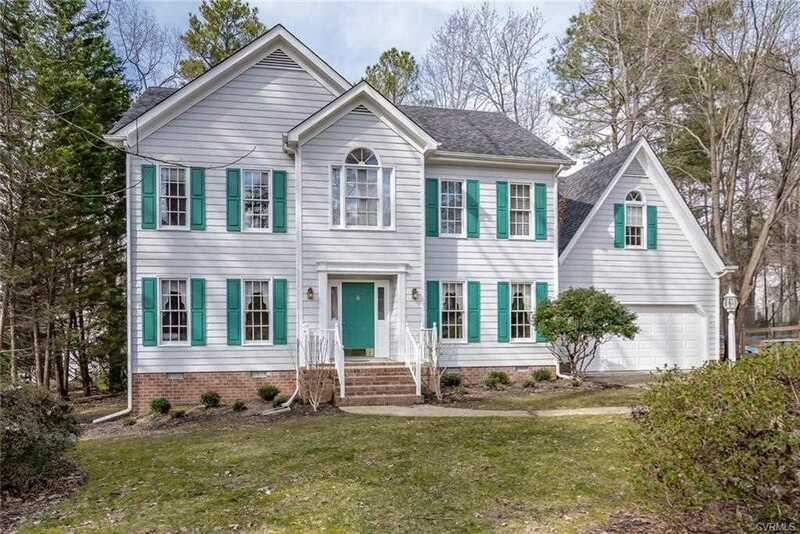 You are viewing the MLS property details of the home for sale at 3102 Cove Ridge Rd Midlothian, VA 23112, which is located in the Brandermill subdivision, includes 4 bedrooms and 3 bathrooms, and has approximately 2689 sq.ft. of living area.